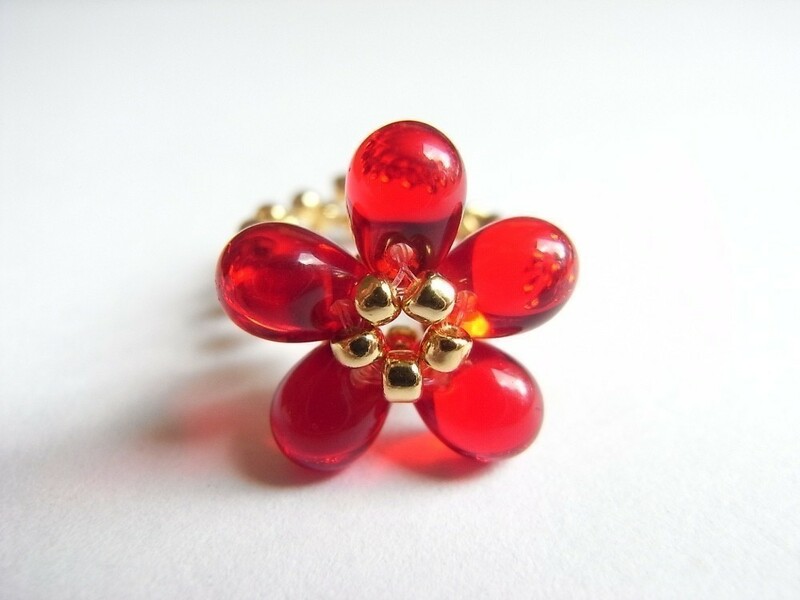 This poppy flower ring is made using the basic R.A.W. In this tutorial, you will learn how to form a flower motif using the basic R.A.W. Discover the beauty of this basic stitch where just by the change of the shape of beads (tear drop), you achieve a different result with this basic stitch. Perfect for a beginner to start! P/S This item is in for 20% discount system, check out two more item with "%" symbol to claim your instant rebate.